The Return and Earn bulk collection point at the Lismore Recycling & Recovery Centre hit its one million milestone this week. The bulk collection point is for anyone who has collected more than 100 containers and people have come from far and wide to deposit. Lismore City Council’s Business Development Coordinator Danielle Hanigan said the facility was operating well and people were becoming well-acquainted with the rules and only bringing clean recyclables. “It’s wonderful to hit our first million containers – Lismore has really gotten on board with the scheme but we have also had many visitors from all around the Northern Rivers,” Danielle said. “People are very courteous of one another as there can be random busy periods and it’s wonderful to see so many local community groups and clubs taking advantage of the chance to earn a buck by recycling. The bulk collection point provides cash refunds only but Council can arrange direct deposits for groups or schools who have started a fundraising drive and plan to recycle on a regular basis. People are reminded that containers should be completely empty and not crushed or broken. “We urge people to please only bring containers that are eligible for a refund or to recycle them responsibly,” Danielle said. The Return and Earn bulk collection point for people with 100+ eligible containers is at the Lismore Recycling & Recovery Centre in Wyrallah Road and is open three days per week – Wednesday and Thursday from 7am to 4pm and Saturdays from 9am to 4pm. Which containers can be returned for a refund? 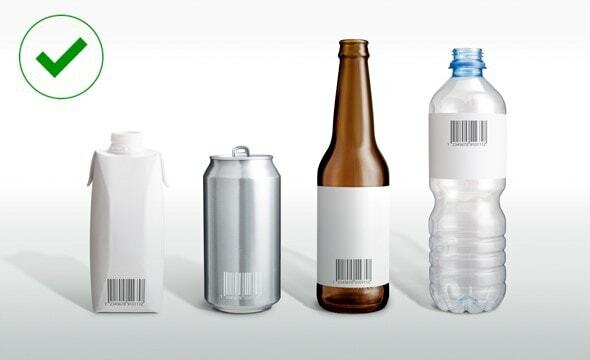 Containers should be empty, uncrushed, unbroken and have the original label attached. 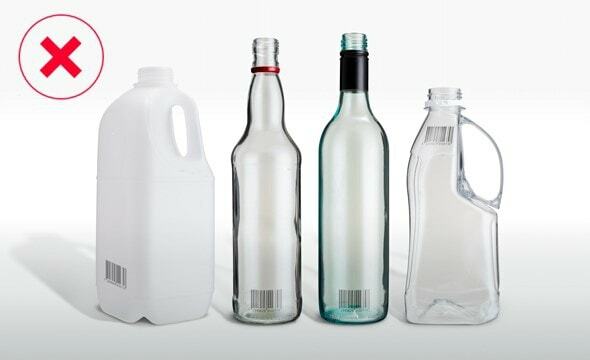 Wine, spirits, cordial and plain milk containers are generally not eligible. If a container isn't eligible for a refund, please place in your yellow recycling bin or in the recycling skips at the Brewster Street Drop-off Centre. Which containers aren't eligible for a refund? Lismore City Council's first Rural Landholder Initiative field day for 2019 has proven popular with local landholders and is booked out. Upcycle Your School Holidays - for free! Lismore City Council is once again holding a free school holiday fun day, Upcycle Your School Holidays, on Tuesday, 16 April at the Lismore Recycling & Recovery Centre. Lismore Mayor Isaac Smith has backed calls by Regional Capitals Australia for the Government and Opposition to commit to 10 'City Deals' worth $100 million each during the federal election campaign. The Goonellabah Sports & Aquatic Centre is celebrating its 10th birthday with a huge week of celebrations from Monday, April 1 to Saturday, April 6. Lismore City Council has hailed the weekend's Eat the Street food festival and inaugural AFL match a huge success, with more than 30,000 people attending the two events. Football, food and family fun will be served up in spades this weekend, when Lismore hosts its annual award-winning food festival Eat the Street and the city's first national game of AFL. Lismore City Council is calling for applications for the 2019 Sister City Student Exchange Program to Yamato Takada in Japan. Celebrity chef Matt Golinski will be the special guest at this year's Eat the Street food festival, where he will offer two masterclasses as well as doing a live demonstration and Q&A. Mayor Isaac Smith has thanked Lismore MP Thomas George and the NSW Government for delivering on its promised $8.2 million for flood mitigation works. One of the new highlights of this year's award-winning Eat the Street food festival is a Foraging Expedition with bushfood expert Peter Hardwick. If you've always dreamed of making the perfect cocktail, join mixologist Howard Johnson from Lismore's only hatted restaurant - The Loft - for a special Eat the Street Mixology Masterclass on Friday, 8 March. Lismore City Council has installed vehicle-activated signage along Wyrallah Road in the final phase of a project to protect the region's vulnerable koalas from road deaths. A popular addition to the Eat the Street food festival launched in 2018 was a progressive dinner, offering food lovers a chance to experience a degustation across five fabulous venues. Lismore City Council's new General Manager Shelley Oldham has announced a major overhaul of Council's finances to ensure the future sustainability of the organisation. Latest advice from the NSW SES re tropical cyclone Oma issued at 9am Friday, 22 February. The latest advice from the NSW SES re tropical cyclone Oma issued at 1.10pm Thursday, 21 February. Fill up your ears as well as your belly at this year�s Eat the Street food festival and head to the Southern Cross University music stage to be entertained all day and late into the evening. If you love your food and your footy, then Lismore is the place to be on the weekend of 9-10 March. The 11th Lismore Workers Masters Games will celebrate its 20th year since inception when it launches on Tuesday, 19 February. In an exciting project that activated the Lismore CBD during the holiday season, Lismore City Council partnered with RealArtworks and Creative Lismore to enhance vacant shopfronts in the CBD and bring them to life. Rochdale Theatre members and guests will experience a cool change this year thanks to Council's Annual Community Grants Scheme, which opens again for new applications this April. Operating hours at Lismore City Council's Return & Earn Bulk Collection Centre are changing from Wednesday, 13 February. Lismore's award-winning Eat the Street food festival will be even bigger and better than last year with all new classes, activities and live entertainment. An East Lismore man has been fined $3000 and ordered to pay more than $1500 in court costs after his dog attacked an elderly man. Lismore City Council is appealing to the community to stop dumping unwanted items outside charity shops. Lismore City Council is appealing to the community and election candidates to be aware of the regulations regarding election signage in the lead-up to the 2019 state and federal elections. The forecast hot weather has sparked concerns at WIRES Northern Rivers about the health of the flying fox colony in Rotary Park, prompting Lismore City Council to approve temporary closure of the area if temperatures exceed 40 degrees. Lismore will be honouring exceptional citizens as well as welcoming new Australians during the 2019 Australia Day Awards ceremony on Saturday, 26 January at Lismore City Hall. Santa's Wonderland at 100 Molesworth Street has been a huge success according to Acting City Centre Manager Andrew Walker, who says thousands of people young and old have visited the display throughout December. The Keen Street footpath project will no longer go ahead in early January 2019. The Book Warehouse has been named winner of the 2018 Christmas Window Display Competition. North East Waste and its member councils are encouraging people to be waste wise this Christmas and keep items out of landfill. The Lismore CBD shopfront vacancy rate continues to drop with the latest figure at 8.57%. Did you know that you can hire an all-terrain beach wheelchair over summer free of charge? Lismore City Council is partnering with RealArtworks and Creative Lismore to enhance vacant shopfronts in the CBD and bring them to life this Christmas. Lismore City Council has retrofitted streetlights across the city in a major energy efficiency project that will save hundreds of thousands in electricity bills and reduce greenhouse gas emissions. Organisers of Carols in the Heart have announced that Aria award-winning singer-songwriter Samantha Jade, who is headlining the event, will hold a special CD signing in Lismore this Sunday, 9 December. Lismore City Council has extended the nominations for the 2019 Australia Day Awards until 20 December 2018. A P-3C Orion A9-752 military aircraft will fly into Lismore this December as part of a grand plan to house the old submarine hunter at the Evans Head Heritage Aviation Museum. The 2018 Shopbaby Carols in the Heart event is coming up on Sunday, 9 December in Lismore with Aria Award-winner Samantha Jade headlining a free afternoon of festive entertainment. 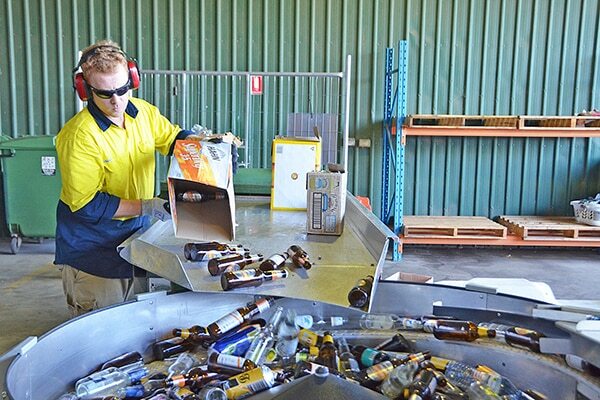 A new #RecycleRight campaign was launched today across the region by North East Waste and its Northern Rivers member councils. As part of Christmas in the Heart celebrations in Lismore's city centre this year, a special Santa�s Wonderland will be open every day of December until Christmas Eve at 100 Molesworth Street. Lismore City Council's 2018 recycled Christmas tree was erected early this morning in the Lismore CBD as a festive gift to the community. Thanks to the efforts of local public servants puttering about on a golf course, the surgery department at Lismore Base Hospital will soon have a hotdog for kids. Lismore City Council will paint Lismore CBD's rainbow walkway in Magellan Street from 10-11 December. Lismore Library has won a NSW Public Library Association Award for its involvement and efforts to enhance and promote the Lismore Lantern Parade. The new Lismore Regional Gallery and Quadrangle has won a 2018 IMAGinE award. Lismore's signature food celebration Eat the Street has won silver at the annual NSW Tourism Awards. Lismore City Council has postponed painting of the new rainbow walkway in Magellan Street. Lismore City Council has relocated a dangerous magpie from Spinks Park this week after numerous people reported head injuries from the bird. Lismore City Council is encouraging people of all ages to spend some time in nature and improve their mental and physical health. Aria award-winning singer-songwriter Samantha Jade has been announced as the headline act for this year's Shopbaby Carols in the Heart. Expressions of Interest for round six of Lismore City Council's Rural Landholder Initiative small grants program are now open. Lismore City Council has installed signage and pavement markings along stretches of Wyrallah Road and Tuckurimba Road that are identified as blackspots for koalas. Lismore City Council staff will be looking to retain their trophy when the African All Stars vs Lismore Legends annual soccer match kicks off on Thursday, 8 November. Lismore City Council will paint a rainbow walkway in Magellan Street at the pedestrian refuge in late November. Lismore City Council will not be required to pay compensation to a Nimbin caf� after it successfully defended its decision to close the premises while improvements to food health and safety standards were made. Lismore City Council is calling for nominations for the 2019 Australia Day Awards. Lismore City Council is calling for expressions of interest to join its Sister City Advisory Panel. Forty-six local volunteers joined Lismore City Council for a Biodiversity Volunteers Breakfast on Saturday, 6 October at the South Lismore Duck Pond Landcare site. Shelley Oldham has been appointed the new General Manager of Lismore City Council. Lismore City Council and Kyogle Council have partnered to deliver a program of activities for Small Business Month with expert business consultants Lilly Choi-Lee and Trevor Lee of TravConsult. Wondering where you can do a bit of guilt-free shopping for a fraction of the usual cost and stop waste going to landfill? It could be as close as next door or just down the road. The Lismore Community Solar initiative that was launched in January this year has won a national LG Professionals Federation Award. Four extraordinary examples of sustainable housing will be open to the public this Sunday, 16 September during the Sustainable House Day Open Homes event. The Goonellabah Sports & Aquatic Centre is joining in 2018 Women's Health Week with free activities every day from Monday, 3 September to Friday, 7 September. The inaugural GSAC Games is a fitness challenge that will be a gruelling show of strength and endurance as well as an exciting celebration of fitness and determination. The Lismore Memorial Baths will reopen next Monday, 6 August for the 2018/19 swimming season. The Sustainable House Day Northern Rivers team has announced that it will host another Sustainable House Open Day on Sunday, 16 September across the Northern Rivers. As Lismore building owners the Jones family can tell you, championing accessibility makes good business sense. Lismore's annual celebration of street food and signature event Eat the Street has won gold at the North Coast Regional Tourism Awards. Lismore City Council is assuring residents it is doing all it can to reduce and recycle plastics after increased community interest following the screening of ABC TV's popular War on Waste. The 2018 Lismore Aviation Expo this Sunday, 29 July will feature high-flying fun for all ages with death-defying aerobatic shows, thrilling flyovers, adventure and joy flights, and a range of static aircraft displays. A new course, First Impressions Mean Business, is being offered in early August to local businesses for free. Lismore City Council is once again appealing for public help to catch illegal dumpers. The latest CBD business statistics show Lismore has a current vacancy rate of 10.25% - down 1.25% since November 2017. In a major coup for the Lismore Aviation Expo on 29 July, organisers can announce that a RAAF Hawk 127 will be performing a flying demonstration as well as being on static display at the annual event. Paul Bennet Airshows will once again take to the skies for the 2018 Lismore Aviation Expo with some old favourites as well as some new planes and high-flying stunts. Lismore Aviation Expo has a new sponsor that knows the sky's the limit when you pursue a real passion. Lismore City Council is calling for more landowners in the CBD to think about shop-top housing as a way to help diversify accommodation options in the city. A beautiful new exhibition featuring painted belly casts of pregnant Aboriginal women or partners of Aboriginal men is on show from 6-15 July at Lismore Regional Gallery as part of NAIDOC Week celebrations. Twenty-two organisations and community groups received donations from Lismore City Council today at the presentation of the Annual Community Grants Scheme. Lismore Aviation Expo major sponsor Fast Aviation is giving people the chance to win a scenic flight in a Cessna Caravan at this year's event. Lismore City Council is looking for clever, creative and skilled locals with some time on their hands to indulge their passion and help give second-hand items a new life. People are invited to join together and celebrate Aboriginal and Torres Strait Islander culture at our annual NAIDOC Celebration Day on Thursday, 5 July. A new artwork by Nimbin-based artist Papillon (aka Dr Patrick Smith) uses recycled glass from the Lismore Recycling & Recovery Centre to question the costs of our consumer culture. Using recycled glass and construction adhesive, the former CSIRO scientist has created a suspended installation of a crumbling Earth which sends a poignant message about humanity’s inability to effectively recycle the waste we create. Visitors from Lismore’s Sister City Yamato Takada, Japan will walk in the Lismore Lantern Parade next week for the first time in history. The delegates are here to celebrate the 55th anniversary of the Sister City relationship between Lismore and Yamato Takada, which began in 1963 and was the first ever Sister City relationship between Australia and Japan. Get a free reusable bag and give up plastic for good. Boomerang Bags Lismore has joined us here at Council to help local residents get ready for the new ban on plastic bags. Lismore City Council is calling for help from the public with reporting illegal dumping of asbestos. Lismore City Council celebrated World Environment Day today with a regional schools event at the Lismore Recycling & Recovery Centre. The Annual Lismore Aviation Expo is back, bigger and better in 2018. Free landholder field days are coming up in July and September as part of Lismore City Council’s Rural Landholder Initiative. Lismore City Council's current Assets Manager Scott Turner was last night appointed as Acting General Manager by the Council. As part of National Reconciliation Week activities, Lismore City Council has launched a community consultation on the date of Australia Day. National Reconciliation Week is coming up from 27 May to 3 June and Lismore City Council is hosting a public event as well as an internal ceremony to mark the occasion and raise awareness about how to actively champion reconciliation in the community. Thinking about burning-off on your property this winter? You might like to consider more than just asset protection. Lismore City Council will place its draft Imagine Lismore Operational Plan (2018/19 budget) on public exhibition on 21 May for community feedback for 28 days. Lismore City Council recently erected a new sign at Robert White Bridge in honour of the man described as having "fearless courage" in advocating for ratepayers. Lismore City Council General Manager Gary Murphy has resigned after seven years in the top job to take up a new appointment on the Central Coast. Compost Day - turn scrap to soil and have some fun! Join Lismore City Council and North East Waste for a free Compost Day at the Lismore Recycling & Recovery Centre on Saturday, 5 May from 9am to 1pm, as part of International Compost Awareness Week.